Even in 2017, email boasts some of the highest engagement rates of any modern marketing strategy. The ability to target people on an individual basis with personalised messages is only really possible with a strategic, segmented email marketing strategy. Get it right and you’ll be turning blog readers into paying customers, clients into repeat buyers and your regulars into brand loyalists who find it difficult to go elsewhere. Of course, this all hangs on sending out the right kind of emails, so here are fifteen lead nurturing email examples and templates to get you started. Infusionsoft is one of the industry’s leading email marketing tools and the first email template it recommends is having no template at all. Here’s the thing. Despite all the email design best practices and people saying they prefer HTML emails, study after study has shown that plain-text emails perform better. In fact, it turns out, as the number of images in an email increases, click-through rates generally decrease (HubSpot). Now, these studies don’t tell us everything – it’s another case of correlation vs. causation but, for a lot of businesses, this holds true. In my experience, this is more common for B2B brands than B2C but not exclusively, by any means. So don’t rule out the possibility of some plain-text emails because you could be in for a surprise. Like I say, there’s a place for plain-text emails in many marketing campaigns but it’s important to know when to use images. This template from email marketing platform SendinBlue simply wouldn’t cut it for an eCommerce fashion brand without the visuals. It’ hard to think of a situation where you’ll want to promote retail products without images so, while the studies I refer to in example one are legit, they don’t mean you should ditch the visuals altogether. 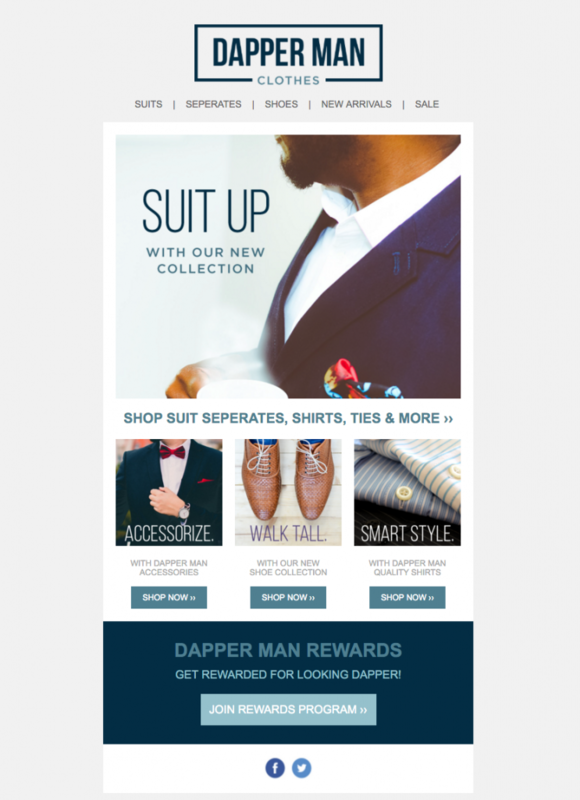 Casper shows how much you can achieve in an email marketing design without using images. With bold, branded typography and clear calls-to-action, there’s no doubt in the recipient’s mind about what they’re supposed to do next. Casper isn’t trying to be clever, amusing or anything else with this email. It’s getting right to point and choosing to avoid any distracting images works perfectly in its favour here. At the same time, strong contrast, bold text and plenty of whitespace mean this email is anything but dull – a fine example of minimal design. Okay, so there’s one picture in this email: a product picture of an item the recipient left in their basket. Which also makes this a great example of the kind of lead nurturing email you should be sending to visitors who pulled out at the final hurdle. Newsjacking is the art of jumping on on a current news story and using it to boost your marketing efforts. It’s a classic strategy but one that’s not always easy to pull off. However, InVision gets it spot on by capitalising on news that’s of genuine interest to its users rather than latching on to gimmicks or cliches. Here’s another template from SendinBlue and the lesson here is to make the most of national holidays and shopping events, like Christmas and Black Friday. It’s hard to resist special offers when you have things to buy for people (or yourself) and you can go one step further by personalising these emails with product suggestions based on people’s buying history or other interactions with your brand. Don’t make the mistake of thinking public holidays and consumer events aren’t relevant to those in the B2C game. If they’re relevant to your target audience, they’re relevant to you too. 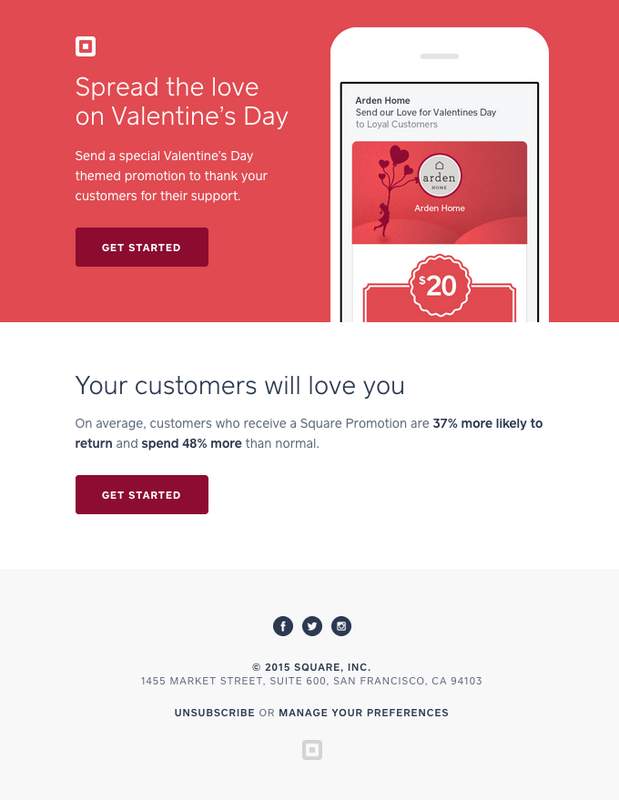 This design from Square calls on its prospects to take advantage of the Valentine’s Day rush with some email promotions of their own and, for good measure, there are some convincing stats thrown in to make that “Get Started” CTA hard to resist. If you’re lucky enough to be in one of those industries that grabs people’s attention, make the most of it. Airbnb has got to be the best example these days, not only because everyone wants to travel but because it really does make the most of this universal desire. Travel isn’t the only thing people crave. Success, riches, beauty, popularity and all kinds of human desires are the most powerful selling points in marketing. Find this sweet spot in your email messages and the templates will basically design themselves. Another email marketing platform I use a lot is ActiveCampaign and one of the reasons I’m a fan is it comes with a great collection of templates you can quickly edit and get sent out a wide scale. This particular template does an incredible job of turning a complex, multimedia email into a minimal design that doesn’t overload the senses. You’ve got text copy, images, calls-to-action, video, audio and social media elements in a single email there, yet ActiveCampaign manages to cram all that content into a sleek minimal design that’s a pleasure to scroll through. Bravo. In this example, Freelancer calls on some tasteful graphic design to tell its story in a quick, concise manner. Which, for a platform that’s largely used by graphic designers and people looking for freelance designers, makes this a cunning choice of visuals that proves Freelancer knows what its target audience wants. 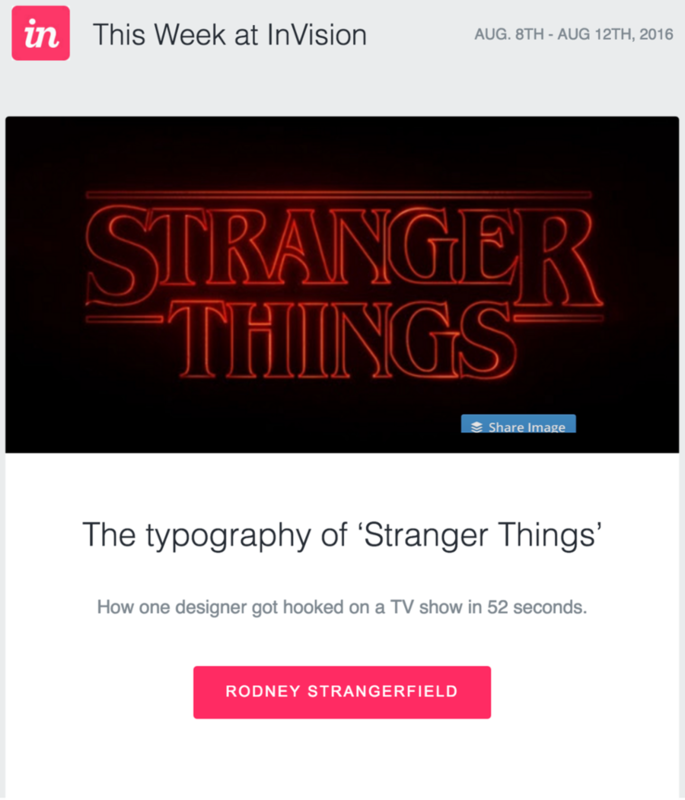 Skillshare had a challenge on its hands with this email design, trying to promote multiple services and promotions in a single piece. This isn’t like an eCommerce email where you can simply use product images to break up your message but Skillshare strikes a fine balance here by clearly dividing its message into digestible chunks and using subtle background images to compliment its bold use of text. For proof that busy visual designs can work, this example from MOO combines playful copy with equally inventive visuals to capture its brand personality in this email design. This kind of approach can be tricky to pull off but if you’ve got the right designer on board or access to quality templates, it can be done. 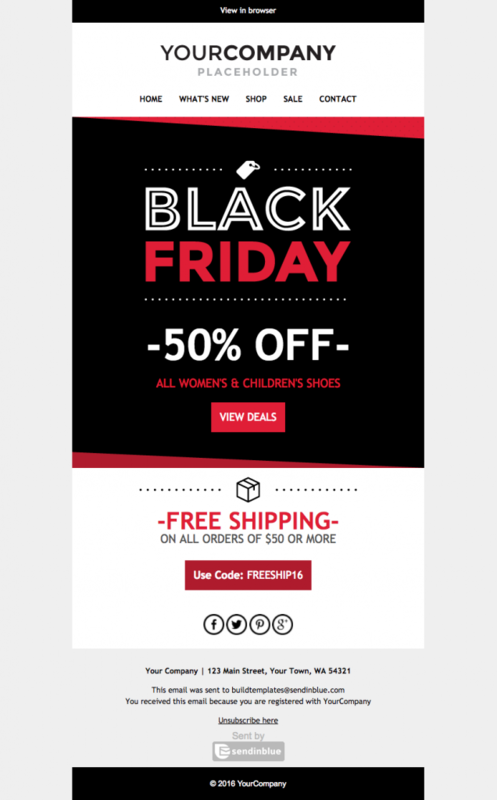 Just make sure you’re getting the right kind of brand message across if you take this not-so-minimal approach to email design. If you’re selling luxury items, you don’t want pictures of hamsters wearing glasses setting the tone for your email campaigns. Whatever approach you take to designing your emails, staying true to your brand image and the products/services you sell is vital. People on your email list have already connected with your brand on some level and you’ll want to stay true to that initial connection with your email marketing messages. The template above is one of ActiveCampaign‘s designs for a luxury range of items. Of course, if you have a wide range of products to promote – some luxury; others not so much – then you’ll want to create different campaigns and segment them to relevant audiences, based on the actions people took on your site. It’s not often you see a great newsletter design but LiveChat nails it with this personalised and powerful graphic approach. Addressing the recipient directly gets things off to a good start and things get even better by promoting targeted content based on the kind of content the user originally signed up for. And then you have the design itself, which combines strong headlines with bold CTAs for every item on the newsletter. Great stuff. Yeah, these ones are tough. There’s a real art to sending reminder emails without annoying your recipients but TheZebra focuses on the classic promise of saving people money in this example. Notice how there’s no fooling around on this one. TheZebra gets right to the point, makes it clear what people have to gain by taking action and hits them with the CTA. Done. 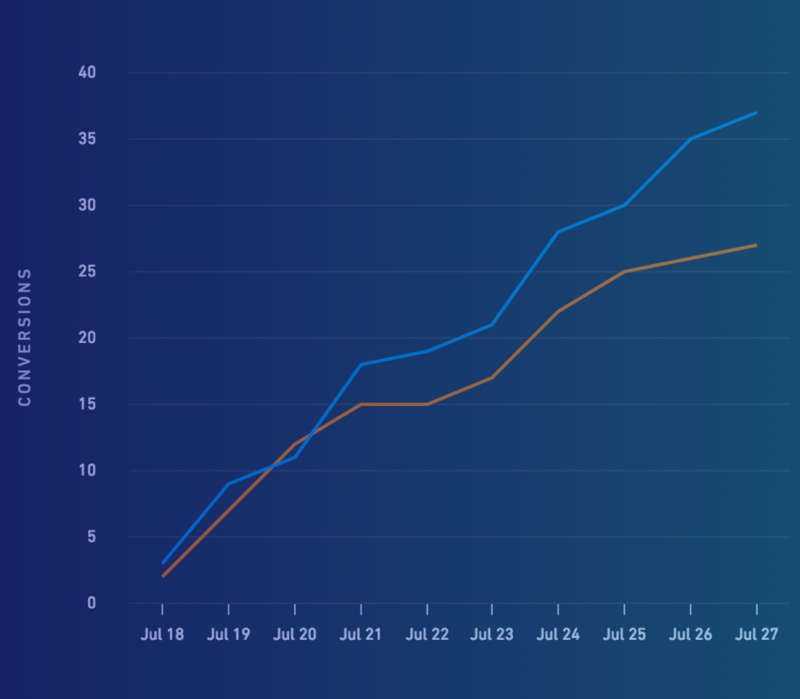 Normally we associate storytelling with long landing pages, video content or multiple emails sent out over a period of time – but it doesn’t always have to be like this. Wealthsimple tells the story of a lifetime in one simple image and a single headline, while calling on people’s desire for wealth (see #7). There isn’t really much else to this email and there doesn’t need to be. As you can see, it’s not always the biggest, boldest design that gets the best results. Knowing what kind of message your target audiences will respond to and targeting them individually, based on what you know about them, is vital to everything you do in email marketing. This goes for the format and designs of your email as well. So, whether you’re creating your own designs from scratch or using templates from your email marketing tool, ask yourself why people signed up to your list in the first place and use this to bring them one step closer to doing business with your brand. Even if this means sending out a humble plain-text email.